William Platt is a graduate of The Eastman School of Music where he was a student of William G. Street. 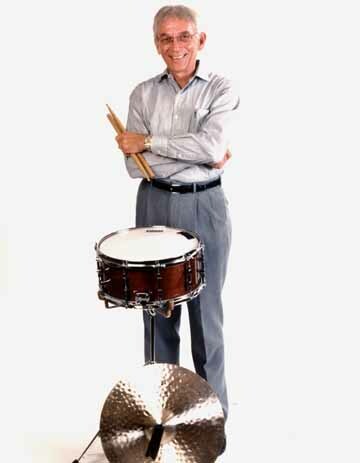 He has been the Principal Percussionist of the Cincinnati Symphony and Cincinnati Pops Orchestras since 1971. He has appeared in over 100 recordings with the orchestras, many as a featured soloist. Before joining Cincinnati, Bill played in the U.S. Army Band in Washington, D.C. and the symphony orchestras of Rochester, N.Y. and Richmond, VA.
Bill has been a faculty member at Ohio University and the Cincinnati College-Conservatory of Music at the University of Cincinnati. In his long career with the Cincinnati Symphony, Platt, who is equally at home in a wide variety of music, was the featured soloist for the Orchestra's world premiere performances of Frank Proto's Concertino for Percussion and Strings - and also on the premiere recording of the work for Red Mark Records. He was one of the featured soloists for Proto's The New Seasons - Sinfonia Concertante for Tuba, Percussion, Flutes and Strings and Three Pieces for Percussion and Orchestra. He also was the solo drummer in the Cincinnati Pops Orchestra's recording of Proto's A Portrait of George. He has performed and recorded extensively with double bass virtuoso François Rabbath, including the world premiere recordings of Proto's Concerto No. 2 for Double Bass and Orchestra (solo drummer) Carmen Fantasy for Double Bass and Orchestra (solo percussion) and Fantasy for Double Bass and Orchestra (solo dombec).